The 17 Sustainable Development Goals (SDGs) of the 2030 Agenda for Sustainable Development are centered on universal applicability and promises to "leave no one behind." The Agenda, combined with the goals and an indicator monitoring framework, seek to support and track country resource mobilization and efforts to end all forms of poverty, fight inequalities, and address climate change. Sustainable development can be defined as, "development that meets the needs of the present without compromising the ability of future generations to meet their own needs." The SDGs acknowledge that the achievement of sustainable development is dependent on the harmonization of three core elements of economic growth, social inclusion and environmental protection. Eradicating poverty in all its forms is a requirement for sustainable development. Therefore, promoting sustainable, inclusive and equitable economic growth, reducing inequalities, raising basic standards of living, fostering equitable social development and inclusion, and promoting integrated and sustainable management of natural resources and ecosystems are essential aspects of the campaign. 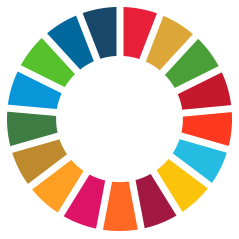 How will the SDGs be implemented? The Addis Ababa Action Agenda outlines policies and actions to help support the implementation of the 2030 Agenda. However, the successful achievement of targets and goals will ultimately rely on national sustainable development policies, plans and programmes led by individual countries. Contribution and cooperation from all stakeholders; governments, civil society, the private sector, and others, is key to the realisation of the new agenda.